Kids eagerly run up the boardwalk to PEI's Cavendish Beach. As someone who has been taking kids to Prince Edward Island for more than a decade, I’m happy to be able to say that it’s gotten a whole lot more interesting for grown-ups in recent years. A trip here used to mean beaches, Anne of Green Gables and other kid-centric pursuits, but these days you can have whatever kind of vacation you want – including ones with craft breweries, indie music cafés and sporty pursuits – no matter what age the kids are. Kids are welcome at The Trailside Music Cafe and Inn in Mount Stewart. 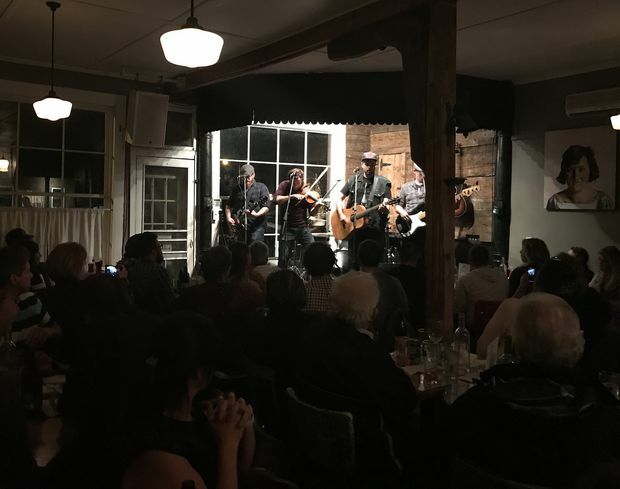 The Trailside Music Café and Inn in Mount Stewart is a fantastic, artsy little venue that attracts big talent, and welcomes families. My five-year old got to see his first gig ever there – the Stanfields – and even got to hang with the band afterward. Every Sunday through the summer, the venue runs a gospel brunch, or you can just visit any day time and play DJ with the vinyl collection. Visit PEI in June and there are two weeks of performances in the Festival of Small Halls, which attracts folk, trad and roots musicians from the world over. The food is excellent whatever time you swing by. The author's five-year-old saw his first ever show as The Stanfields played to a full house at the Trailside. In Charlottetown, the Hopyard Beer Bar serves up craft beer, a massive selection of vinyl to buy or play there and bar food with a Korean influence. There’s no kids’ menu, but you’ll have no trouble finding something they’ll eat (at very least, the tasty churro doughnuts) and the superfriendly staff make children feel at home. Close by, check out Back Alley Music for browsing the stacks and educating your offspring on music players of olden times, as the store has a collection of retro stereos and jukeboxes. 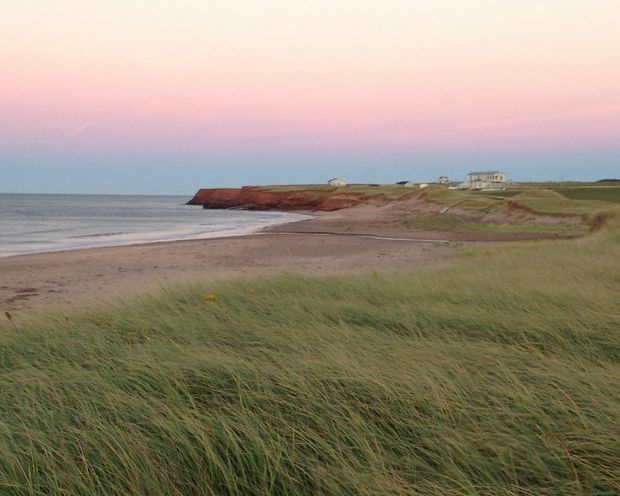 A sunset hangs over Cavendish Beach, still a lovely area despite the swarms of tourists. 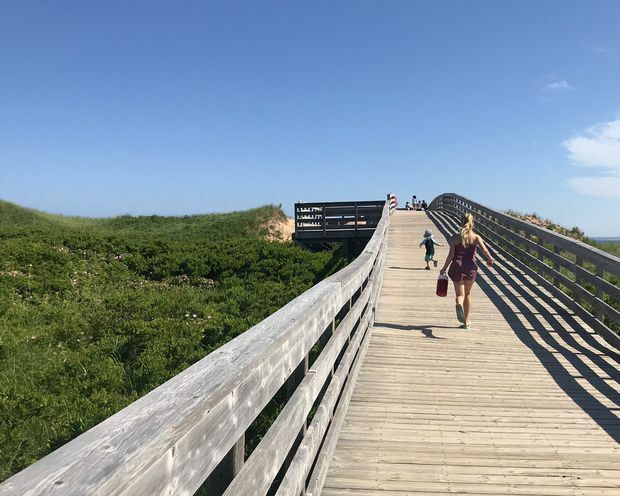 As regular PEI visitors know, the Cavendish Beach area is basically a tourist-attraction nightmare, so don’t plan to spend a whole day there. But of course your kids are still going to want to ride the bone-shaking roller coaster at Sandspit – the biggest roller coaster in Atlantic Canada – so you’ll need to pencil in limited time there (I suggest combining it with a stop at the beach, which is still lovely). Grab a lobster roll or fish and chips at the Lost Anchor, the best restaurant in the area. The miles of red sands at Brackley Beach are much less busy, and a beautiful spot to spend the day. Brackley Drive-In is always part of our PEI vacations, and catching a double bill while eating candy and popcorn in the car is a big hit with our brood (ages 12, 6 and 3). Nearby, the Great Canadian Soap Co. has goats you can feed and pet, as well as delicious goat’s milk ice cream for sale. 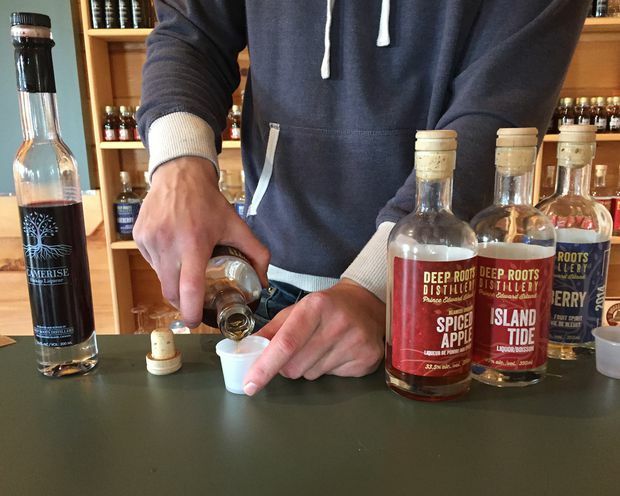 Kids can play outside while the adults sample craft spirits at Deep Roots Distillery in Warren Grove. Biking around PEI is easy because a) it is pretty much flat, and b) there are 435 kilometres of paved and gravel trails. Outside Expeditions in North Rustico rents bikes for all ages, and trailers for those who can’t peddle themselves. Biking allows you to explore the gorgeous area – we saw foxes (there are lots on PEI) and all manner of birdlife. 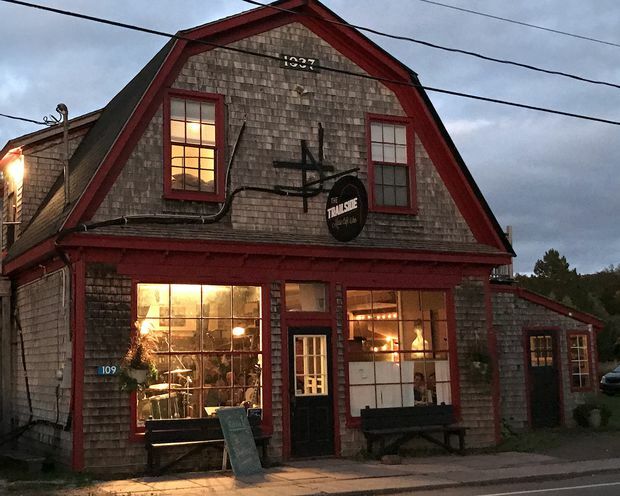 While in North Rustico, grab a table at the Blue Mussel Cafe to experience the best chowder of your life (they have a kids' menu), and try their inspired seafood dishes. Outside Expeditions also rents canoes, kayaks and paddle boards, and offers a variety of tours. Accommodation is plentiful on the island, especially if you dig retro-looking chalets, and you’ll find some great options through Airbnb. But if you want to be on or close to a beach book early as such places fill quickly. The fairly new Sydney Street Boutique Inn and Suites in Charlottetown has posh downtown accommodations big enough for larger families, and the included breakfast is excellent. The cottages at Dalvay By The Sea (where Prince William and Kate Middleton stopped on their Canadian honeymoon) are especially sweet – just a short stroll from the beach, with use of the stately resort’s facilities.